When it comes to installing a fence on your property, especially when the fences task is to enclose animals and keep predators out, you need a quality fence installed by experienced fence installers. 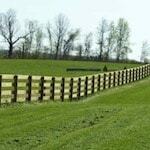 ProFence, LLC has been installing fences since 1993. 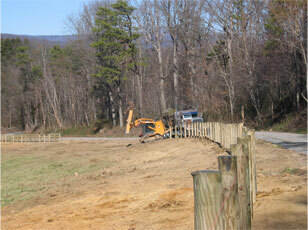 During this time we have installed all types of fencing for multiple purposes. We have installed fences on all sorts of terrain and around immovable objects. 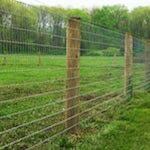 We install fencing to keep animals safe and contained. Using ProFence’s fence installation services means having a fence installed by some of the most experienced fence installers in the Eastern USA. Click below to get a free fence installation estimate. Here is a list of animals that we have installed a fence for. Our fence installation services cater to exactly what you want from your fence. 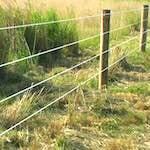 There are different types of fencing for different purposes. A fence that keeps deer out may not be the best choice for a cattle fence. No matter what type of fence you need installed, we will get the job done right, on-time, and within budget. There are many different types of fencing that needs special care taken when installing. 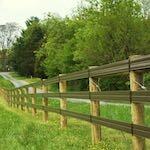 Installing a high tensile fence is different than installing a wood board fence. 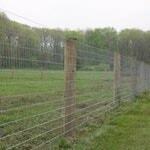 We can even convert your current woven wire fence into an electric fence. 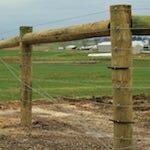 Every fence has its strengths and weaknesses when it comes to containing animals. We install these types of fences. A properly installed fence could last a lifetime. Our professional fence installers will get the job done on time and within budget. Whether you need a woven wire fence installed or a beautiful wood board fence installed, your property will gain in value. From time to time we have to install fences on rough terrain or through rock. On this day, our fencing installers had to drill through rock in order to install a fence. Contact us today for a Free Fence Installation Consultation.